With every month that goes by we learn a little bit more about how to make life easier for TechWyse clients. In the end, people that spend money on marketing feel a great deal better when they are able to know the exact return on investment for their marketing dollars. This is why I turn as many people as I can towards the “Measurement and Tracking” aspect of your marketing plan. This month alone we helped two clients determine the usefulness of their “Yellow Page” and “Radio” ads. Using a combination of our “phone call tracking”, “email lead management” and “Google Analytics” services we were able to monetize both online and offline advertising for our clients. Telling them exactly how effective (and sometimes ineffective!) their advertising was. An exact quote from one of our clients. 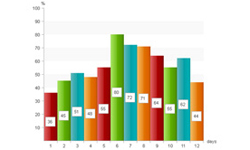 “I was shocked to see that we had 51 phone calls logged in June from the pay per click. This is information that I never knew and for me is mind boggling and only proves that dead beat Yellow Pages are even less effective than what I already thought.” Uhh – sorry Yellow Pages. If interested in learning more please visit this page – https://techwyse.com/wyselabs-package.php. We currently are running a promotion for our “Ultimate ROILogix Measurement” package. TechWyse International – after running the IT Outsourcing arm of our company which includes Offshore Staffing, and Application Development services, for several years, we finally got around to launching the formal website! Our goal with this site was to continue the unique TechWyse brand and create a creative that was easy to read, and easy to navigate. We also wanted to create a clear sales funnel for visitors as soon as they got to the site. I think our team did a great job. To learn more about how these offshore services can help grow your own business feel free to visit the website. Giftcraft – Britto Line – this site was a little bit different for us. This website was more about brand then it was about internet marketing. The ‘Britto’ brand was also launched as a subdomain of the main corporate site for Giftcraft. (which we developed late in 2007) Challenges for this site included developing a scaleable strategy for Giftcraft to launch new signature series licenses on an ongoing basis. It’s a nice site. We also saw some news coming out of the search engine world in June. We saw the continued alignment of Yahoo! with Google. After Microsoft’s attempt to buy out Yahoo! it seems the company has aligned itself more with Google as a form of protection. Now Google ads will be shown on the Yahoo! network. (Never thought this would happen!) Yahoo!’s pay per click administration issues also continue to plague its users. Knowing our ROI is incredibly important!! Marketing plans will built up by robust tracking solutions, for this reason it lets us know where we stand. 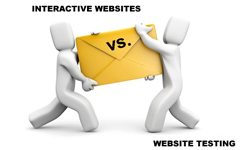 Google -Yahoo PPC allows a new avenue to webmasters despite yahoo’s limitations. 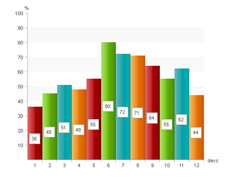 Industry figures forecast Online Ad spending to touch $ 65.2 Billion in 2008 and soar past the $106 Billion mark in 2011. The day may not be far off when the total spend on online ads will outstrip offline ad figures. This will be a Global phenomenon and cannot be reversed. Internet marketing companies stand to reap rich dividends. Yep, looks like the days of ‘Yellow’ pages are numbered. A major chunk of the audience are ‘livewired’ and are used to instant results. Kudos to you DJ for having achieved a good response through the measurement campaigns. And yes, I am waiting for the ‘GooHoo’ effect too! My personal feeling is taht People increasingly prefer to advertise in a medium that offers scope for tracking effectiveness of marketing campaigns. They will want to measure the ROI for every penny spent. Offline ads can create awareness and may also include a call to action but lacks effective tools to measure campaign success. Online ads score on this count. 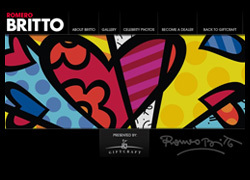 Your Britto site is fantabulous!! Hats off to it!!!!!! Yahoo’s PPC managing still a cause for concern, but let us see what its outcome after September as from then ‘Goohoo’ facility available to users.